The Story of the Coca-Cola Bottle: One of the most famous shapes in the world is the iconic contour fluted lines of the Coca-Cola bottle. Renowned as a design classic and described by noted industrial designer, Raymond Loewy as the “perfect liquid wrapper,” the bottle has been celebrated in art, music and advertising. When Andy Warhol wanted a shape to represent mass culture, he drew the bottle and when Volkswagen wanted to celebrate the shape of the Beatle, they compared the car to the bottle. In 1899, two Chattanooga lawyers, Joseph Whitehead and Benjamin Thomas, traveled to Atlanta to negotiate the rights to bottle Coca-Cola. The product had been an increasingly popular soda fountain drink established a mere 13 years previously. In fountain form, Coca-Cola grew from an average of nine drinks per day sold in 1886 to being sold in every state of the US by 1900. Thomas and Whitehead wanted to capitalize on the popularity of the drink by bottling it to be consumed outside the four walls of a soda fountain. The contract the two signed was a geographic one and The Coca-Cola Bottling Company began franchising the rights to bottle Coca-Cola in cities across the U.S. By 1920, over 1,200 Coca-Cola bottling operations were established. The bottles used in those days were simple straight-sided bottles that were typically brown or clear. 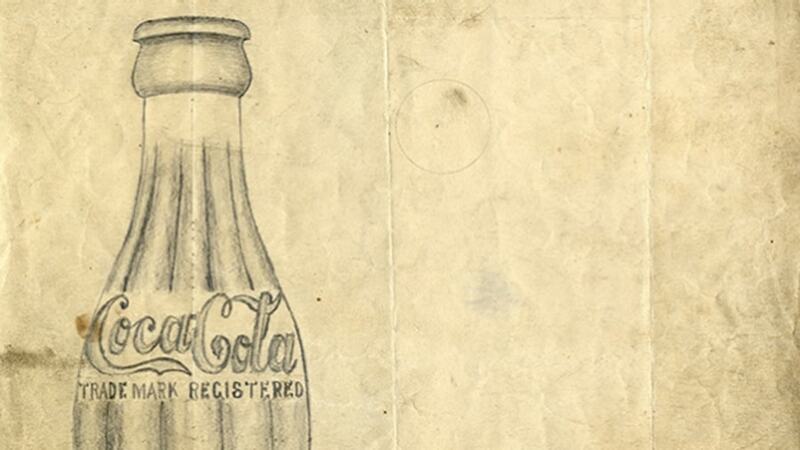 The Coca-Cola Company required that the bottlers emboss the famous logo onto every bottle.